The idea was born from the need to improve the diet and consequently the quality of life of my dog Goro, a Shiba Inu with a series of problems of food intolerances. To take care of him, we had to look for a competent professional to indicate me a proper, balanced diet. Following this personal experience, I thought that other dogs could have great benefits from this kind of diets based on simple but healthy products, something that wasn’t produced industrially and with a low price. That’s how I started to conceive and create gourmet products with great attention to the selection of raw materials, nutritional balance and attractiveness. We produce natural food without preservatives and we also try to offer innovative compositions and combinations. We dry meat and fish to obtain chewy snack, we produce baked goods and complementary meals. 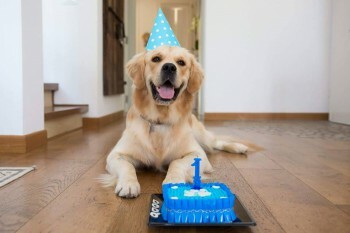 For big occasions we realize fantastic personalized birthday cakes that satisfy the nutritional needs of each pet. If you take a look at our website, you’ll see that creativity and fantasy are our first ingredients. Nowadays lots of dog owners pay great attention to the diet of their pets. Someone says it’s an exaggeration, what do you think? As for human beings, cats and dogs, too, may suffer from allergies and intolerances to some food products. We think that the offer of simple and genuine products without the use of chemical can help in the daily management of these problems. Functional food products are often little desirable, and we try to turn them into a delicacy! Having said that, nothing is too exaggerate when it comes to the health of our pets, they are an integral part of our families. 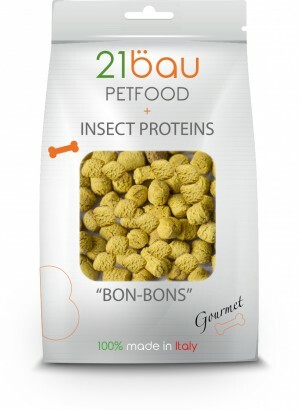 You’ve recently started to look into the production of petfood based on edible insects. How did you come up with this idea? The idea was born from a group of dog owners who where particularly interested in natural food products for cats. People in this group were well informed and wanted to make their cats taste a snack with edible bugs. That’s how I started to investigate the topic in more detail. We’ve discovered that bugs are proteins with high biological value and a great alternative for those animals that suffer from intolerances and allergies to other proteins. 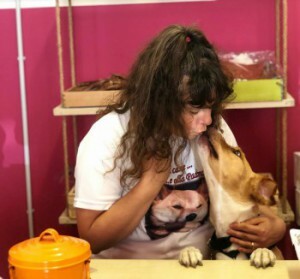 Then we met the people at 21bites and the project became reality with the name of 21bau; we started a collaboration to create a line of gourmet pet food products with edibleinsects. We will launch the first ones at Pet Show Expo in Bologna next 24-25 November. Come see us at the fair or visit our new website.